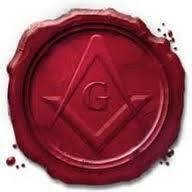 Freemasonry is a peculiar morals system, veiled by allegories and illustrated by symbols. It is a Universal institution, philanthropic, essentially philosophic, and progressive. Freemasonry goals are the look for the truth and the study and practice of morals, virtues, and solidarity. We work on the spiritual and material improvement of the human being and cares for its individual and social perfection. Freemasonry principles are the mutual tolerance, respect to oneself and others, and the absolute conscious freedom with no room for political or religion debates within our brethren, what is well depicted in our motto freedom, equality, and fraternity. Our duty is to extend to all human being the fraternal ties that unite all freemasons. Our order recommends to its adepts to spread our principles, and considers any work as one of the essential mankind duties, either intellectual or manual. The Masonic discretion is the reserved external appearance of the attention any mason should exhibit as intellectual discipline considering he learns to be a better human being by keep silence and listening. This is also a demonstration, after all, of a visible way of humbleness and intellectual modesty. We always gain more when listening than talking, this is the eternal rule of wisdom. Heiress of ancestral traditions, expressing in almost immutable ways since many centuries, doesn’t F:.M:. run the risk to be considered an old past phenomena?